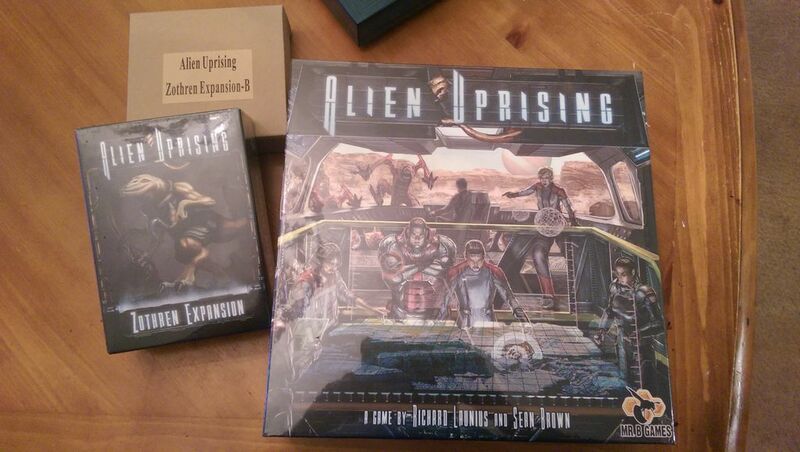 I came home to find a box on the doorstep, and it is Alien Uprising! Opened it up, it looks great. And there is the extra box Mr B. mentioned in the Kickstarter note, and it's got quite a few miniatures in it. I'm not sure who gets that or how it compares to what was promised - hopefully someone else can do the numbers - but I am really happy & looking forward to learning it & trying it out! Nice job Mr B. and Mr L.! 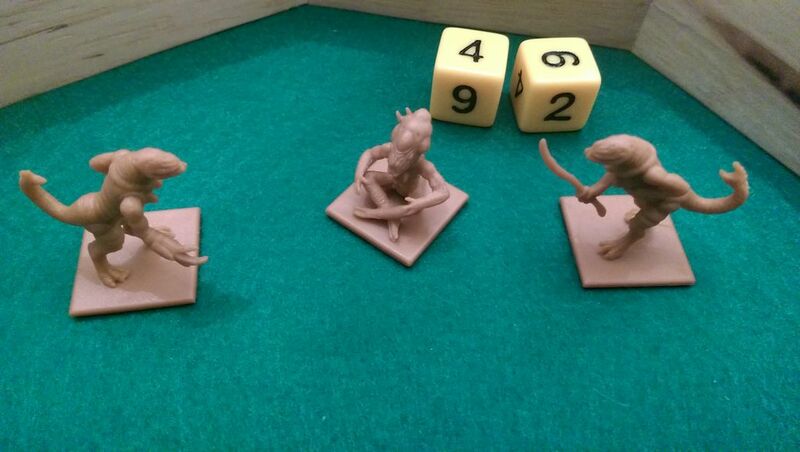 Here is a pic of a couple of the bonus expansion mini's. Note...these are not included in the base game. Mine arrived today in North Carolina, shipped via UPS Ground. Hehe, yeah it appears my picture didn't get approved as quickly as I thought it would be. It still appears to not be up best I can tell. I uploaded a couple pics. Will update when I see them on here. Also was UPS. You don't have to get them approved to post images. Yeah I finally figured it out...will try to get both of them in my original post here in a min. Love the alien sitting in the 'criss-cross, applesauce' pose. Heard a knock on the door, saw a UPS truck, and just knew it was something for me. Can't wait to get this on the table & tear through some aliens! Thanks Mr. B! Mine arrived in Dallas today! The components look amazing! Agreed! It's a very nicely-produced game. It's a promising start for this new company. Game arrived yesterday. Everything looks absolutely wonderful. I'm in North Carolina. This makes me super happy to hear games arriving!!! Mine arrive today too and in great shape!! Packing was superb!!! Mine was waiting for me when I got home. Not sure what day it got here. Arrived yesterday in St Louis metro area. Very impressed with the fine detail on the miniatures and looking forward to playing. I laid everything out. Very impressive package. Lots of stuff in there, everything looks good. Very pleased. Awesome, thanks Tom and Jorune, glad you like it! Still waiting in Oakland, CA. I'm glad to hear such glowing reviews so far, though. Makes the wait feel worth it! I am just south of you (San Jose) and mine will be delivered Monday. Hope you get yours as well! I got mine today (Friday) in Orange County, CA.